Associates a category with CMS pages to display text, images, videos, etc in the category page. 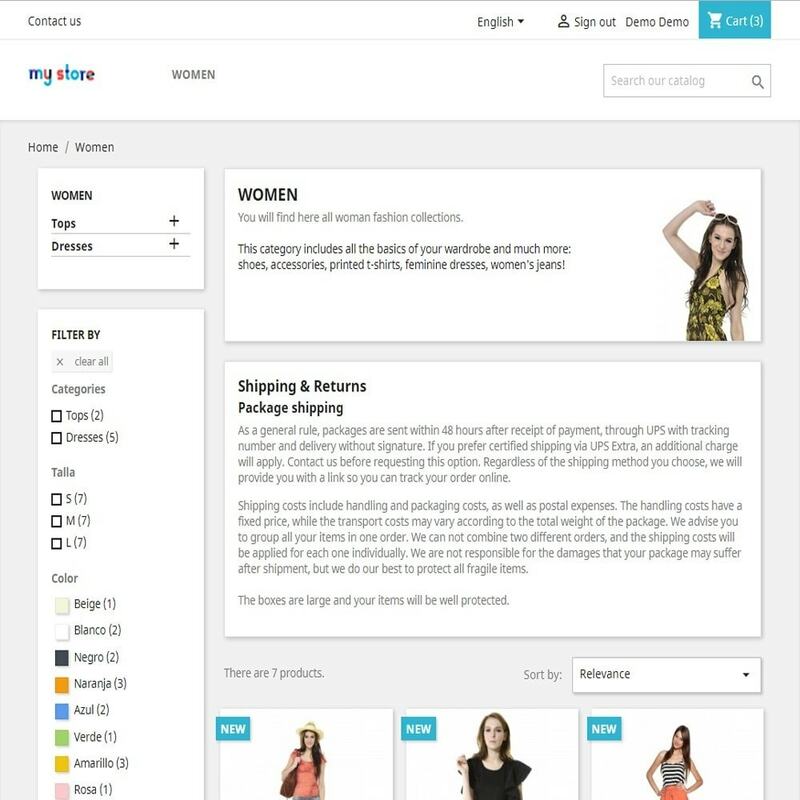 This module allows you to display unlimited information on the category page. With the ability of CMS pages with the possibility of adding HTML content (text, images, videos, etc. ), you have the ability to add more texts with images and videos in the category page. In the module configuration you can associate CMS to a category and view a list of all the associations with the possibility of delete or cancel those associations. Customers can view more information on the category page. 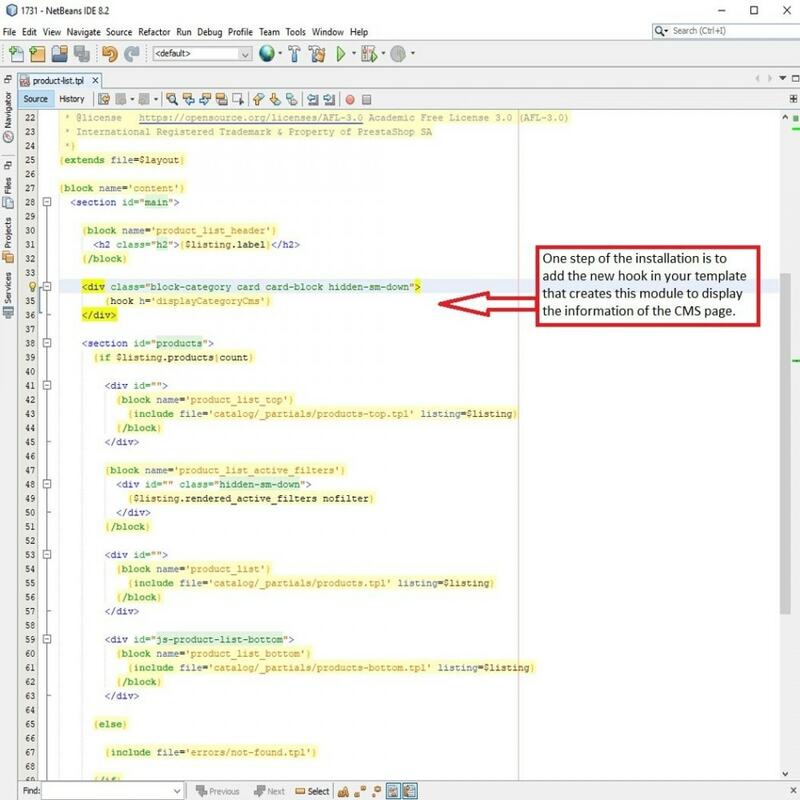 To display the texts of the CMS pages associated with a category will need to add the following code in the template file category.tpl in use. 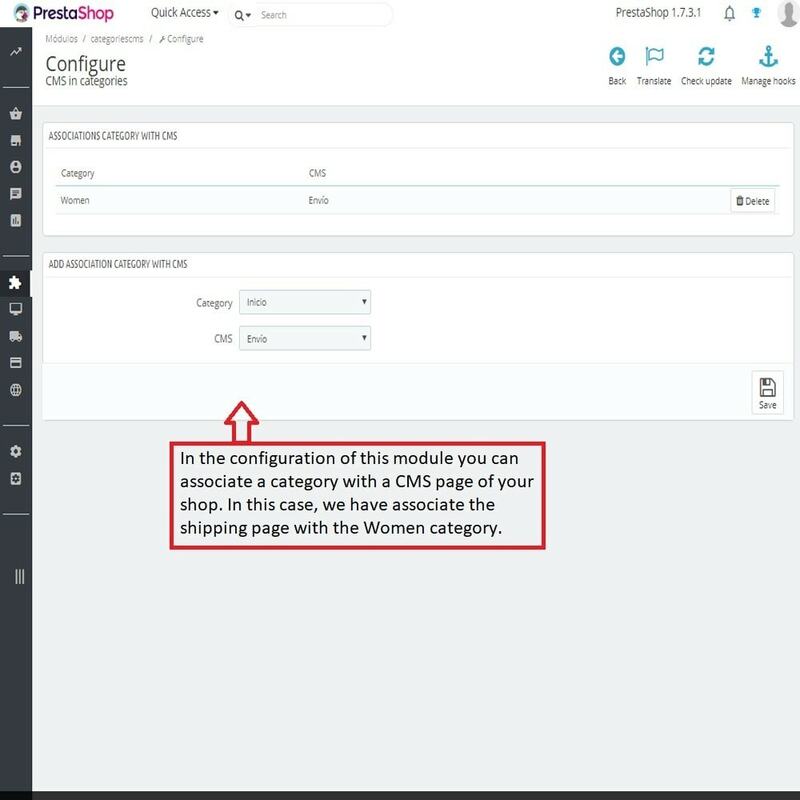 To display the texts of the CMS pages associated with a category will need to add the following code in the template file templates/catalog/listing/product-list.tpl in use.